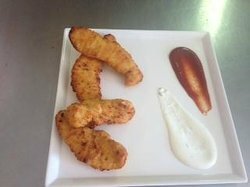 Choose from our special ranch, thousand island or Italian dressings. Small,‎ romaine & red leaf lettuce topped with parmigiano cheese & croutons, with a side caesar dressing. Large, romaine & red leaf lettuce topped with parmigiano cheese & croutons, with a side caesar dressing. (5 toppings) salami, pepperoni, ham, mushroom, and sausage. (5 toppings) mushroom, olive, onion, bell pepper, and tomato. 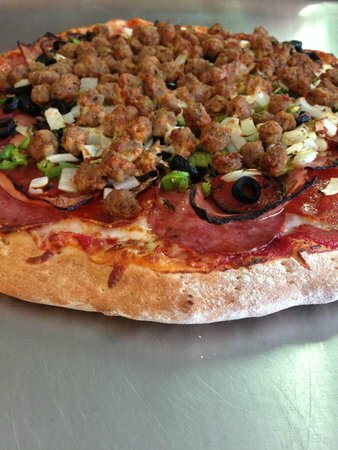 (9 toppings) salami, pepperoni, olive, ham, sausage, mushroom, bell pepper, onion, linguica. 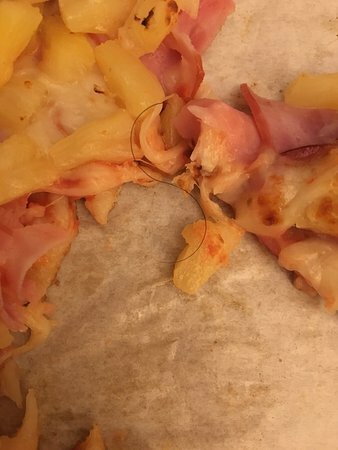 (2 toppings) canadian bacon and pineapple. 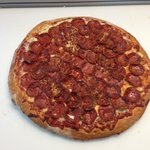 (7 toppings) salami, pepperoni, ham, linguica, sausage, bacon, and ground beef. Basil pesto sauce, mozzarella and parmigiano cheese, green bell peppers, diced tomatoes topped with artichoke hearts. Our creamy garlic ranch sauce, mozzarella cheese, mushrooms, diced tomatoes, marinated chicken & red onions. Cattleman's BBQ sauce, mozzarella cheese with mushrooms, tangy diced BBQ chicken, red onions, and cayenne pepper sauce. Tender‎ baby shrimp with chopped garlic and artichoke hearts, topped with mozzarella & parmigiano cheese. Tender baby shrimp with chopped garlic and cayenne pepper sauce, topped with mozzarella and diced onions. Pesto‎ sauce, mozzarella cheese, feta cheese, marinated chicken, topped with roasted red bell peppers, artichoke hearts, and red onions. 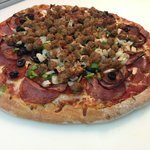 Our dough is made fresh daily. 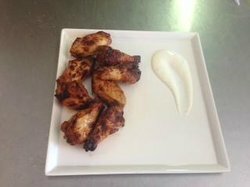 Our pizzas are hand-rolled & made with fresh whole milk mozzarella. 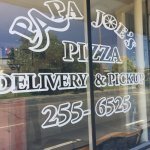 Papa Joe's in Napa, CA has the best pizza pie. Placing orders over the phone is easy. They are always ready by time of your request. We were staying at the Marriott during the Oakland Raiders Training Camp and ordered pizza from here just on a whim. 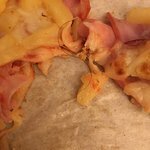 Pizza was amazing! Top 3 pizza I've had in my life. 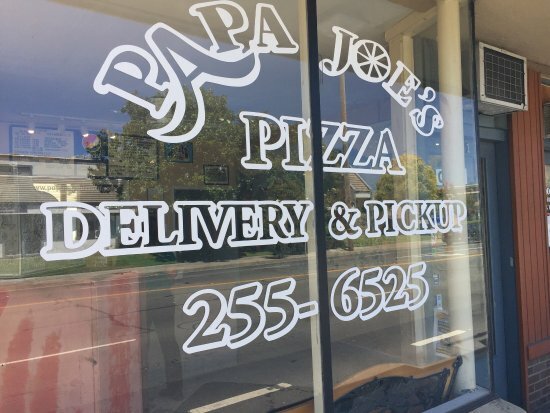 Get quick answers from Papa Joe's Pizza Inc. staff and past visitors.